With the holiday season approaching, you may be thinking about how you can support a favorite charity this year. 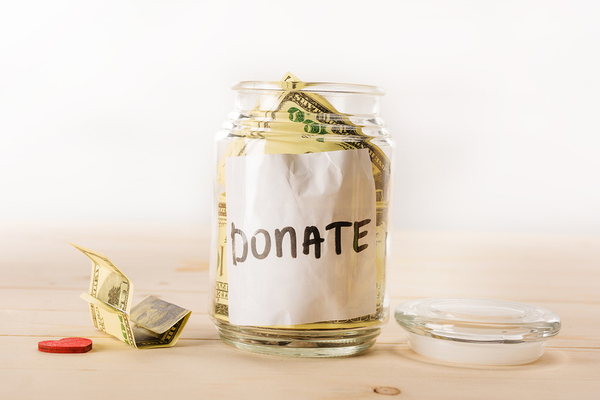 For most charitable organizations, cash is the best gift that you can give. If you’re on a tight budget this year, or if you’re just looking for a way to give a little more than normal, you may be interested in finding a way to make some additional money. A charity garage sale can be a great way to earn some extra money to increase your donation. As a bonus, you’ll decrease the clutter in your home, and people in your area will be able to pick up items they can use for a reasonable price. It’s a win for everyone. Take a look at some tips for planning a garage sale for charity. 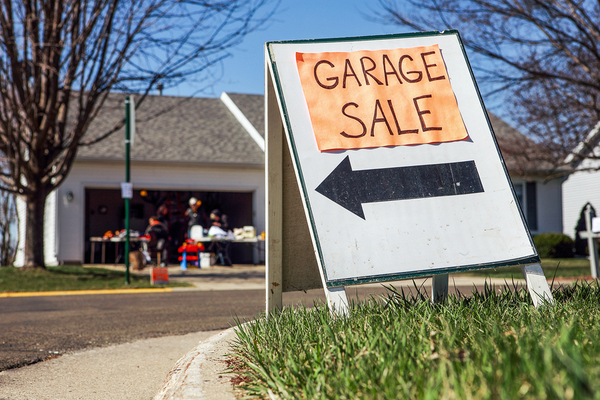 A multi-home garage sale often attracts more shoppers, since they can browse a wider variety of items in one stop. See if your neighbors are interested in joining forces to create a bigger garage sale and donate even more money to a worthy cause. If a neighborhood garage sale isn’t an option, you can still contact friends and family to see if they have any items they’d like to donate to your sale in order to help raise money for a good cause. Look for ways that people can participate even if they don’t have any items to sell. A garage sale is also a good place for a table selling baked goods or cold drinks, a face-painting booth, or a caricature artist. These additional goodies and attractions can attract more customers and help raise more money. If you want your garage sale to be a success, choosing the right date is important. You’ll probably want to schedule the sale at least a few weeks out, in order to give everyone who’s participating time to plan. Avoid scheduling the garage sale on a holiday weekend; you don’t want to hold a garage sale at a time when many of your potential shoppers will be out of town. Find out if there are any special events going on in your town in the upcoming weeks. A parade, fair, or other events may keep people away from your sale if you’re located on the other side of town. On the other hand, if you live near the event, it might bring more shoppers in. Be strategic when choosing your date. Be sure to choose a backup date in case of rain, unless you have an indoor location that you can use if the weather is bad that day. Garage sale signs are an important form of advertising; they not only attract people who are just passing through, but they also help direct people right to your location. Don’t just count on people driving by and seeing your garage sale signs, though; make sure that you advertise ahead of time. There are plenty of free ways to advertise. You can post in local Facebook groups, neighborhood forums, and online personal ads. Make sure to mention the charity that you’re fundraising for in your advertising. Some people will be inspired to come and shop because they know the money will be going to a good cause. What’s more, you’ll be raising awareness for your charity. A garage sale is always a fun way to get rid of things that you no longer want, and when it’s over, you’ll have space in your garage to reorganize or remodel. When you hold a garage sale for charity, you’ll have the bonus of knowing that your efforts are benefiting a worthy cause. For ideas to help you remodel that newly free garage space, schedule your free design consultation.